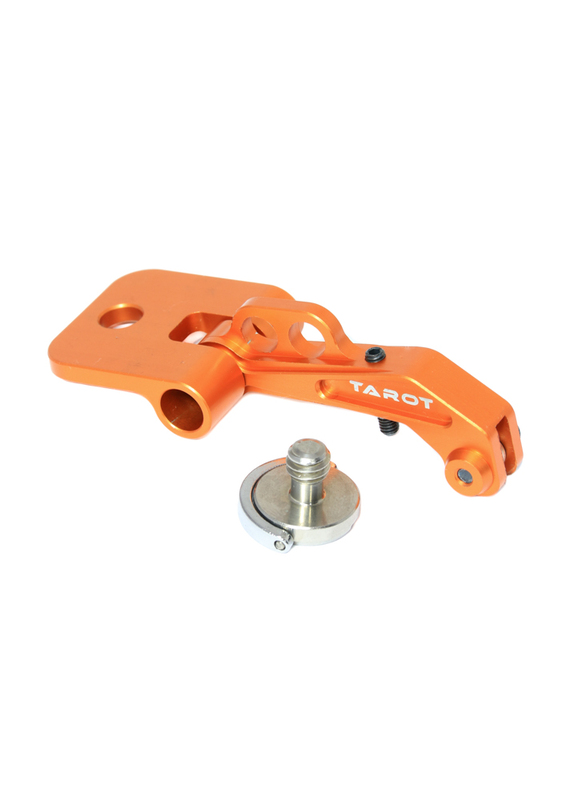 This is a universal aluminium bracket that will let you mount a FPV monitor to your transmitter. 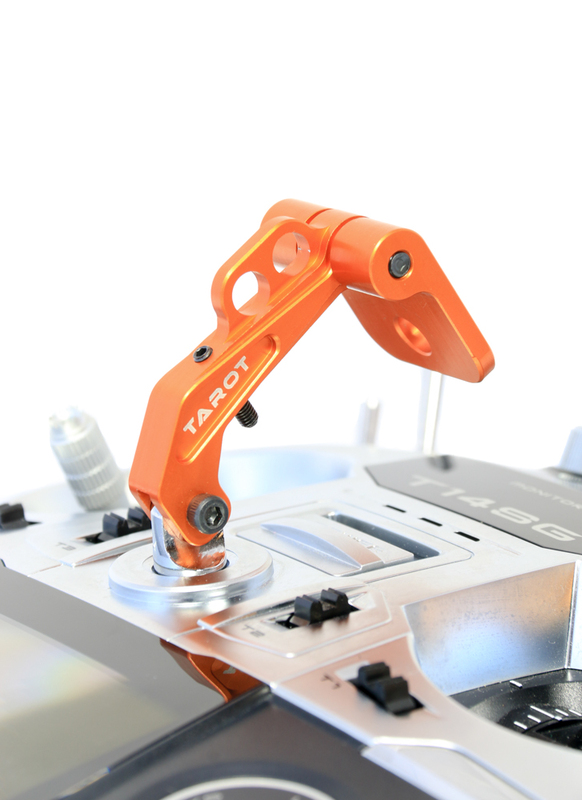 The mount will adapt almost any transmitter with a vertical neck strap holder, such as that found on many of the Futaba transmitters and even the DJI phantom's Tx (if your transmitter has a horizontal neck strap holder, we sell an adapter here, which also doubles up as a balancer). 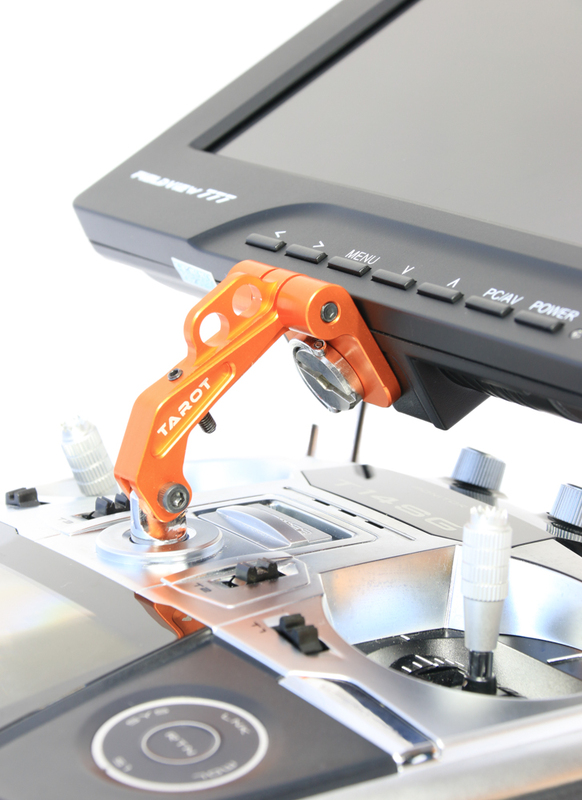 The mount is easy to install and its tilt can be adjusted to set the optimal viewing angle for your monitor. Although the mount is designed to carry a 7 to 8 inch monitor, it could be used to mount anything with a standard 1/4" tripod thread, for example our universal smartphone/tablet ground station clip holders. 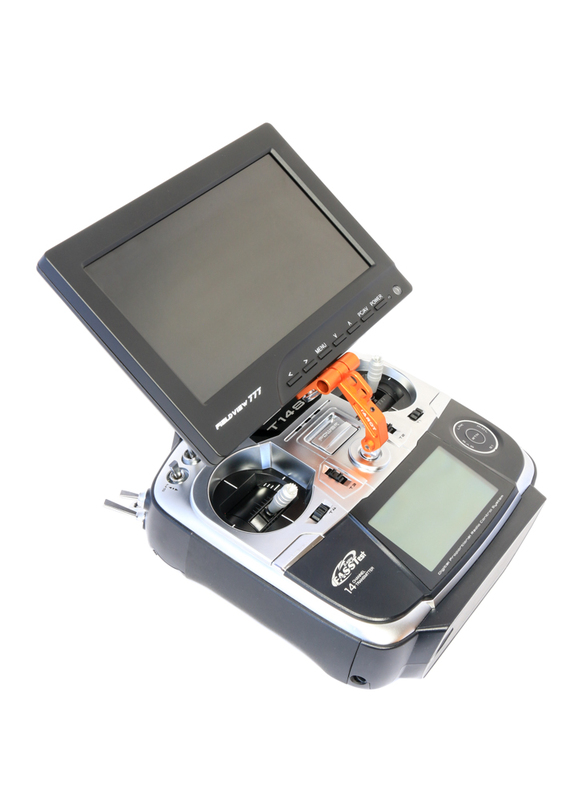 If this mount isn't compatible with your transmitter, we sell a different type of monitor mount which might be. Suitable for 7inch or 8inch monitor with standard tripod thread - 1/4" 20 UNC.